The experienced intellectual property attorneys at Corridor Law Group are based in the Chicago area, but serve clients across the U.S. and in foreign countries. Our IP services and expertise cover a diverse range of businesses and technologies, with a focus on securing strong patents at a very reasonable cost. We offer potential new clients a free 20-minute phone consultation, which allows us to answer clients’ questions about the patenting process without imposing on them any obligation to formally retain our firm. This initial consultation provides new clients with the information they need to determine whether they should entrust their valuable ideas to our attorneys. We also provide new clients with strategic options for protecting and building a business around their ideas. Corridor Law Group isn't in the business of writing and filing patent applications for every new client, because in some cases the patenting process won’t provide the level of protection that’s worth the costs. Bob Fieseler, Corridor Law Group’s founder, reports that in a normal week he conducts between three and five free phone consultations. 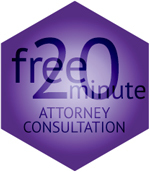 To schedule your free 20-minute phone consultation with an experienced patent attorney, visit this page. The Federal Circuit’s Berkheimer v. HP decision has brought the patent eligibility statute, 35 U.S.C. § 101, back into the headlines. In October 2016, Ryan Truesdale wrote on this blog that “the statute addresses the basic question of ‘is this invention the type that is patentable.’” The Federal Circuit’s decision in the Berkheimer case finally provides some degree of clarity and the USPTO, after several false starts, has finally set out clear directions for the examiners and the PTAB. The USPTO’s Berkheimer memo states that a rejection under 35 U.S.C. § 101 requires an examiner to provide written support that the claimed subject matter is “well-understood, routine, and conventional to a skilled artisan at the time of the patent is a factual determination.” Berkheimer v. HP Inc., 881 F.3d 1360, 1369 (Fed. Cir. 2018). One benefit of the ruling in the Berkheimer case is that facts will always matter. Examiners must use facts from citations to declare an application ineligible. Citations can be used from court decisions, publications, and/or an official notice statement(s). The memo describes “an appropriate” publication as a “book, manual, review article, or other source that describes the state of the art discusses what is well-known and common use in the relevant industry.” As a gift to applicants, the memo states that when an applicant responds to an ineligibility determination, the examiner must provide explicit support, citing books, manuals, review articles, or case decisions, thereby effectively negating ineligibility rejections based solely upon official notice. The Berkheimer memo drew from the Federal Circuit Court’s decision in that case as to “whether the purported improvements were more than well-understood, routine, conventional activity previously known in the industry.” Id., at 1370-71. "The mere fact that something is disclosed in a piece of prior art, for example, does not mean it was well-understood, routine, and conventional." Id., at 1369. Applicants following the directives in the Berkheimer memo will be more successful in overcoming ineligibility determinations than in the USPTO’s previous directives under the Supreme Court’s decision in Alice Corp. Pty. Ltd. v. CLS Bank International, 134 S. Ct. 2347 (2014). There, the Supreme Court invalidated patent claims because abstract ideas were declared unpatentable by the court without “something more”. In sum, the USPTO’s Berkheimer memo provides avenues for overcoming abstract idea ineligibility determinations. Examiners will need to provide evidence to support their contentions. Finally, the USPTO has provided safeguards against arbitrary, anecdotally-based decision making by examiners and the PTAB. Corridor Law Group is delighted to welcome its new Patent Agent, Jenna Mazzoni. Originally from Chicago, Illinois, Jenna holds a Bachelor of Science in Molecular and Cellular Biology from University of Illinois at Urbana-Champaign and a Ph.D. in Developmental and Cellular Biology from University of California, Irvine. She also completed a Postdoctoral fellowship at Columbia University where she published her work in the journal Neuron. Jenna brings specialized knowledge in a variety of technical fields including molecular and cellular biology, neurovascular biology and animal models. She is passionate about delivering high quality services to our clients to assist them in protecting their valuable inventive concepts.